From untold treasures to the beautiful sights of mesmerizing waterfalls, Africa has a lot to add to your travel diaries. 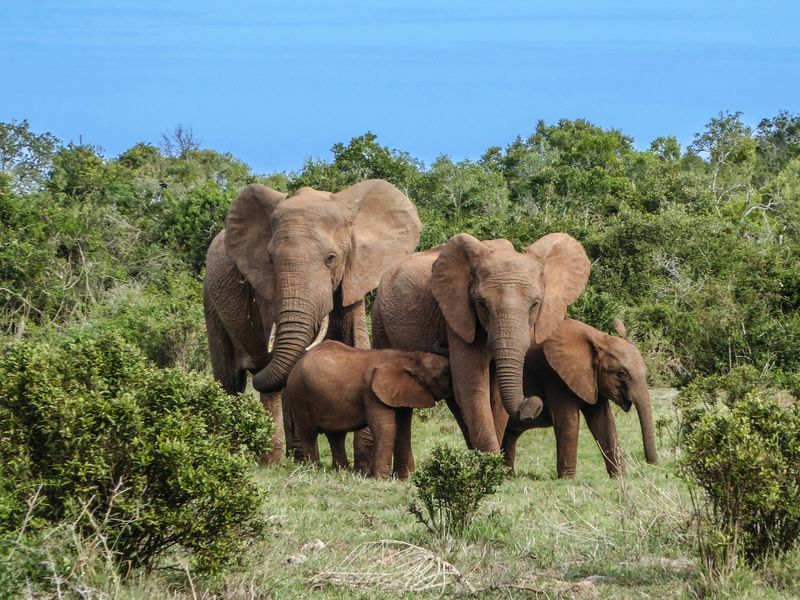 On the one hand, you can go on adventurous hiking and trail running experiences and, on the other hand, you can be completely mesmerized with wildlife safaris. Stunning and worth-visiting sites in Africa are aplenty. 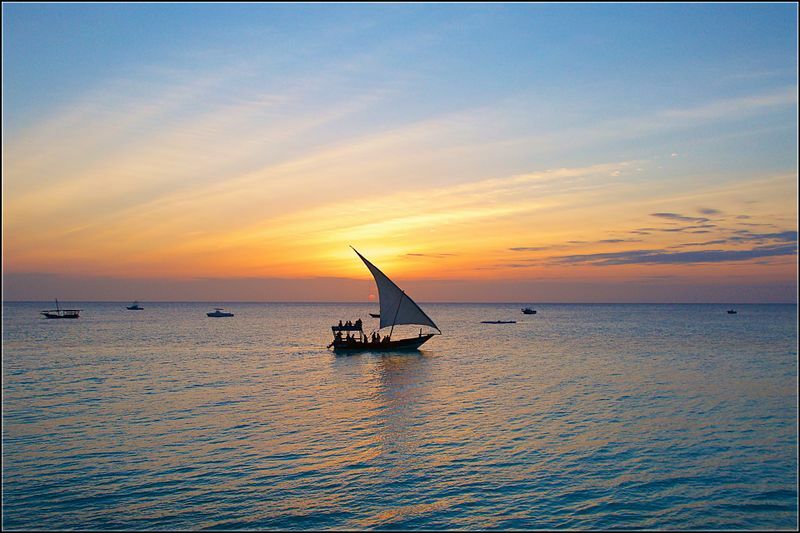 From Tanzania to Morocco, you are spoilt with choices. But to make your trip planning slightly easier, here are the top six places in Africa that you should add to your itinerary! If you are looking to discover something beguiling and impossible to forget in this lifetime, then this place should be at the top of your list of destinations. 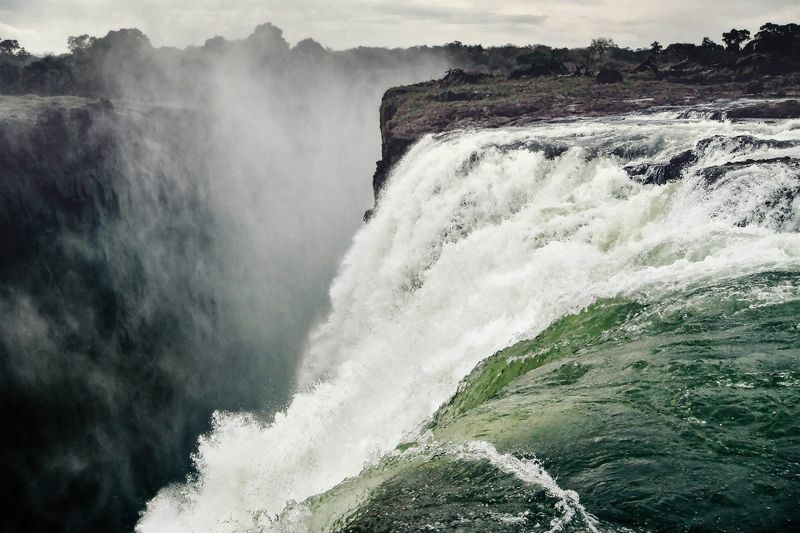 Victoria Falls, also known as "The Cloud That Thunders", is located on river Zambezi, on the border between Zambia and Zimbabwe. These waterfalls are known to be the largest moving waterfall on Earth. Visiting Africa and missing out on this one just might be your biggest regret, so be sure to add it to your travel plans. You can hear the thunder sounds that the water makes as it sprays from a great distance away, hence its name "the cloud that thunders". Along with the mesmerizing view, the place also boasts a diverse wildlife, which can be enjoyed in the surrounding areas. 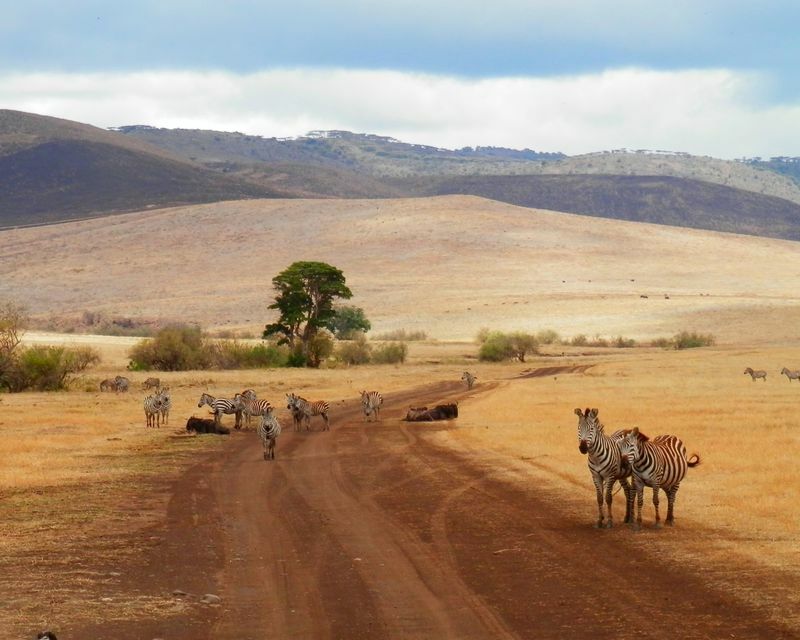 Ngorongoro Crater is a UNESCO World Heritage site situated in the west of Arusha in the Crater Highlands of Tanzania. 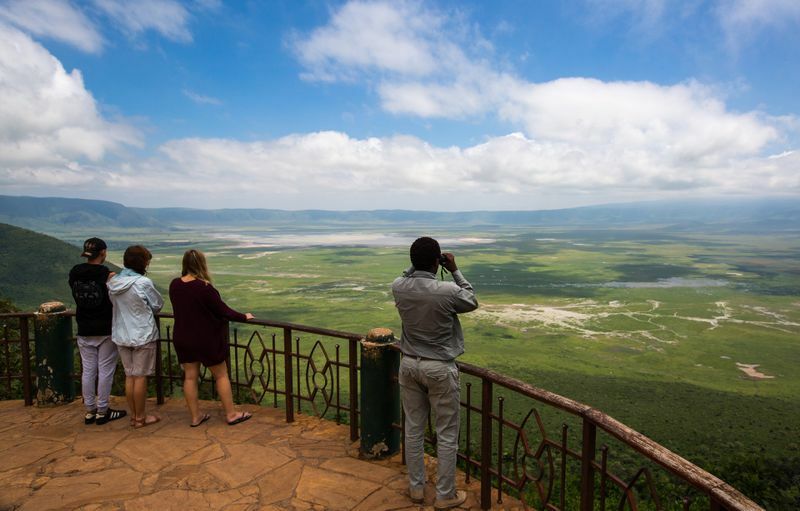 The area was named after a large volcanic caldera (crater) in the area - the Ngorongoro Crater. 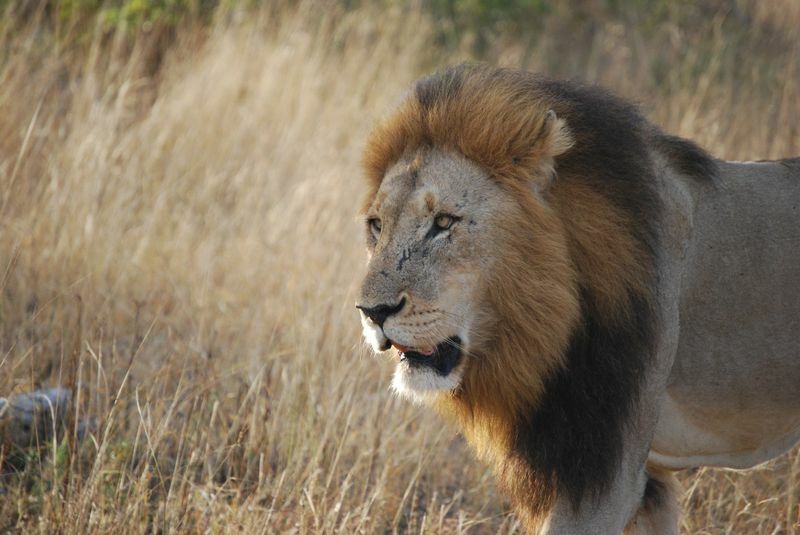 The place is home to a large variety of animal species including hippopotamus, elephants, and lions. Many water springs can be found around the floor of the crater. These springs not only serve as a source of water for the wildlife in the area but also for the Maasai tribe living nearby, especially during drought season. 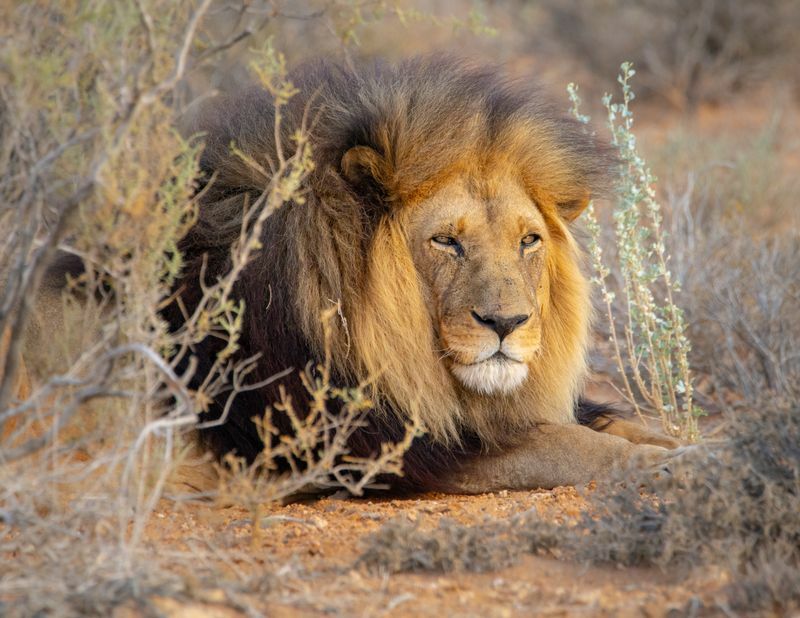 For those of you seeking luxury out in the desert, a few luxurious resorts have been built over the years for travelers, offering comfort and the lush view of the unparalleled beauty in the world's most unchanged wildlife sanctuary. Located in the south of Namibia, Fish River Canyon is the second largest river canyon present on Earth. 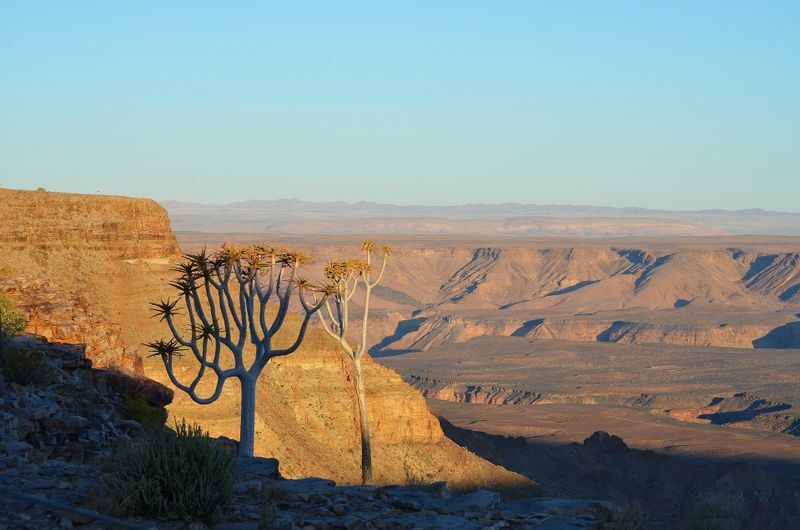 Carved out of the Namibian Desert, Fish River Canyon is 100 miles (160 km) long. Known for its hiking trails, Fish River Canyon comprises an upper canyon and a lower canyon. Visitors from all around the world come here to experience the adventurous hiking and trail running routes that are open to the public. Travelers seeking an adrenaline rush can go for a four-day trek that covers over 53 miles (86 kilometers) – a challenging but rewarding experience! At the canyon, wildlife enthusiasts will have the opportunity to see kudu, zebra, and wild horses. 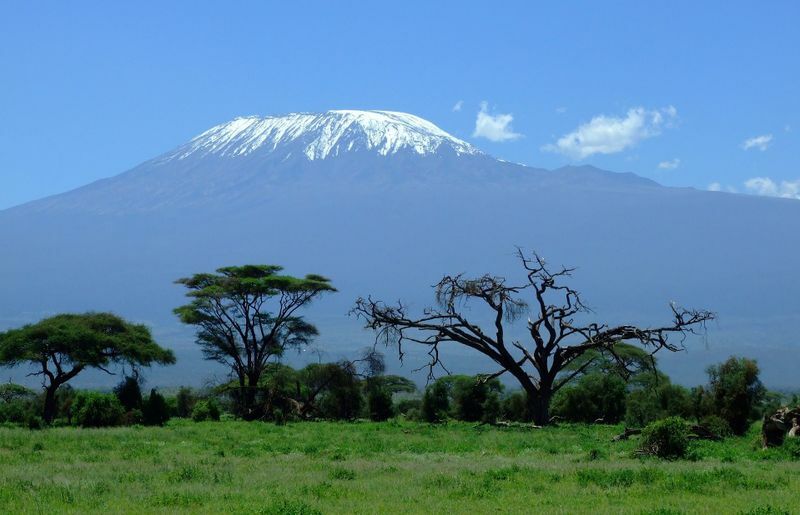 The highest mountain in Africa, Mount Kilimanjaro is one of Tanzania’s most impressive sights. The mountain rises 19,341 ft. (5,895 m) above sea level. Many avid hikers and travelers from all over the world make the trip to climb Kili each year. While no prior climbing experience is needed to tackle Mount Kilimanjaro, one needs to be generally fit to climb its highest point, Uhuru. The mountain offers seven trekking routes - Lemosho, Marangu, Machame, Mweka, Rongai, Shira, and Umbwe. Though hiking can be strenuous at times, the scenery at the top of the mountain is unbeatable. There, you will be able to witness unbelievable white landscapes formed by glaciers. Also known as Mufumbiro, the Virunga Mountains are a chain of volcanoes present in East Africa along the borders of DRC (Dominican Republic of Congo), Rwanda and Uganda. 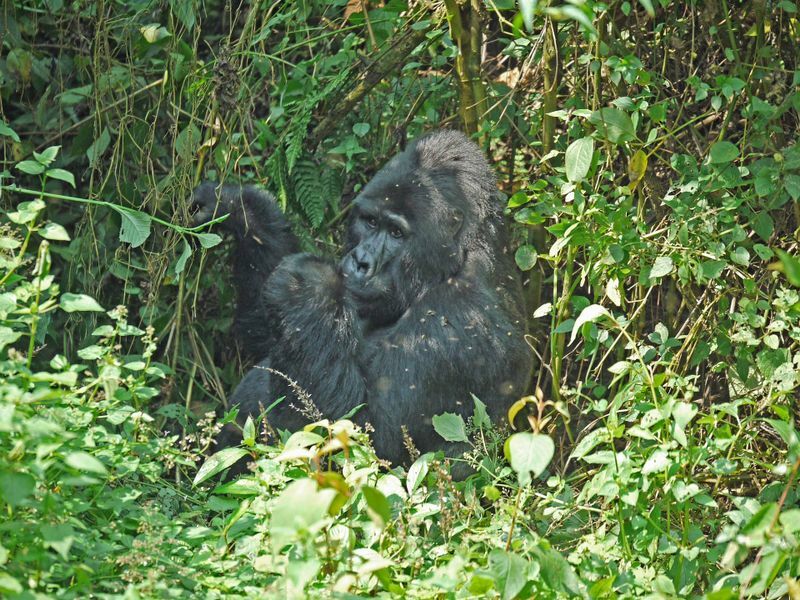 They are home to the extremely endangered mountain gorilla, which is listed on the IUCN Red List of Endangered Species. While visiting Virunga Mountains, one can witness African wildlife including chimpanzees, forest elephants, and forest giraffe, which are also known as Okapi and Zebra Giraffe. There are eight mountain peaks that make up the Virunga Mountains: Mount Karisimbi, Mount Mikeno, Mount Muhabura, Mount Bisoke, Mount Sabyinyo, Mount Gahinga, Mount Nyiragongo, and Mount Nyamuragira. Out of these, Mount Karisimbi is the highest, followed by Mount Nyiragongo. 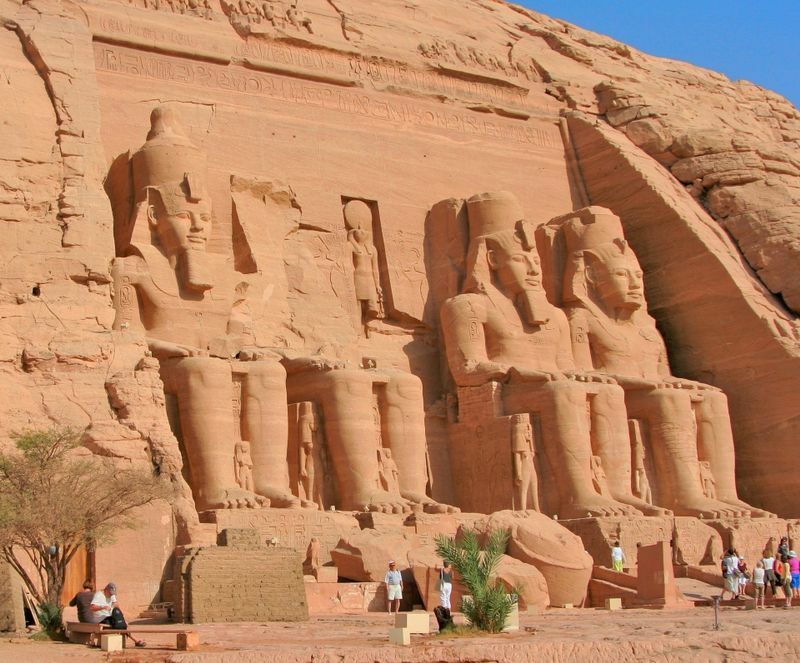 Abu Simbel temples are two rock temples found in a village named Abu Simbel in Nubia in southern Egypt. The temples are also known as The Great & The Small, and are UNESCO World Heritage Sites known collectively as Nubian Monuments. The complex was relocated from its original place between 1964 and 1968. The relocation was unavoidable, as the monuments would have been in danger of being submerged in the gigantic waters of the river Nile have they not been moved. The huge rock figures were dismantled, lifted and reassembled in a new location 65 meters higher and 200 meters away from the river. The place is iconic and indeed worth visiting at least once in a lifetime. Other noted places of interest in Africa include the Great Pyramids at Giza in Egypt, the Valley of the Kings in Egypt, the Okavango Delta in Botswana, and Table Mountain in South Africa. However, I believe that the six mesmerizing sights I shared should be the starting point. Africa has a lot to offer when it comes to nature, culture, and wildlife. If you are looking to enjoy the nightlife on the continent, visit Djmaa el Fna in Morocco, where dancers move stunningly to the beats of the drums. Everything about Africa can add a major and exquisite chapter to your travel journey. 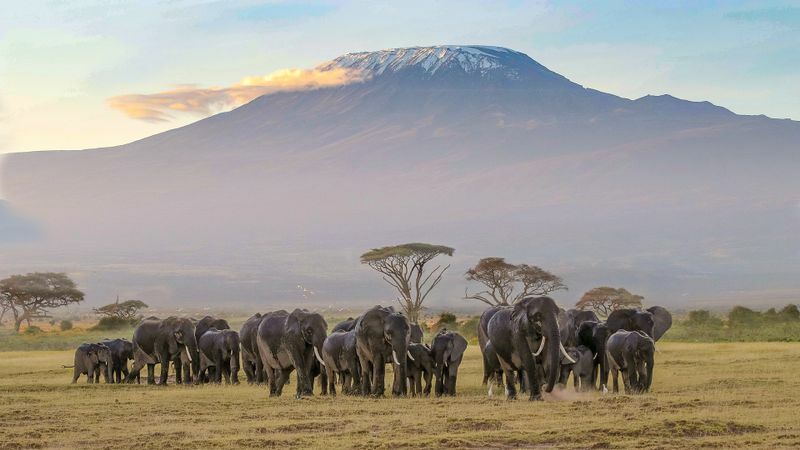 Want to capture the mesmerizing sights of Africa’s wildlife? 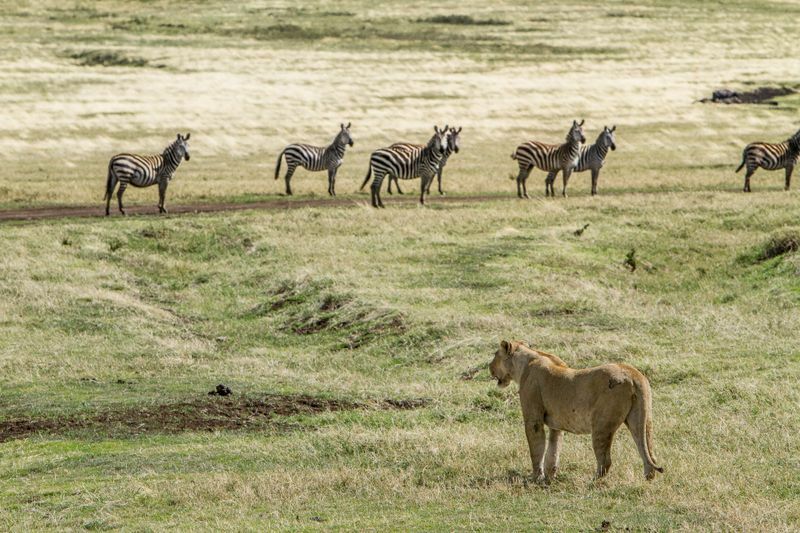 Go on a photography safari!